On May 30, 2011, I had the pleasure of cutting some small leaves for a salad. 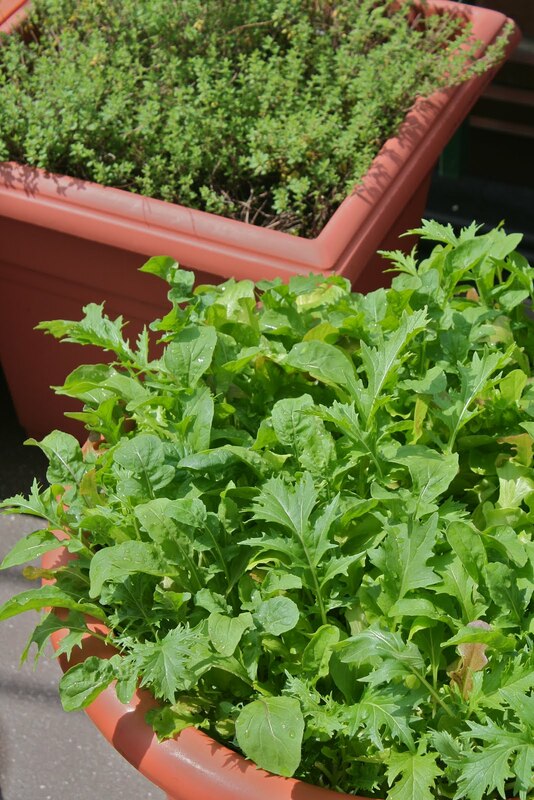 I enjoyed the irony of 'Wine Country Mesclun' advertised as "straight from the Napa Valley" growing in a container on my roof in Manhattan. I once lived in California 30 miles from the Napa Valley and I know that Third Ave. it ain't. 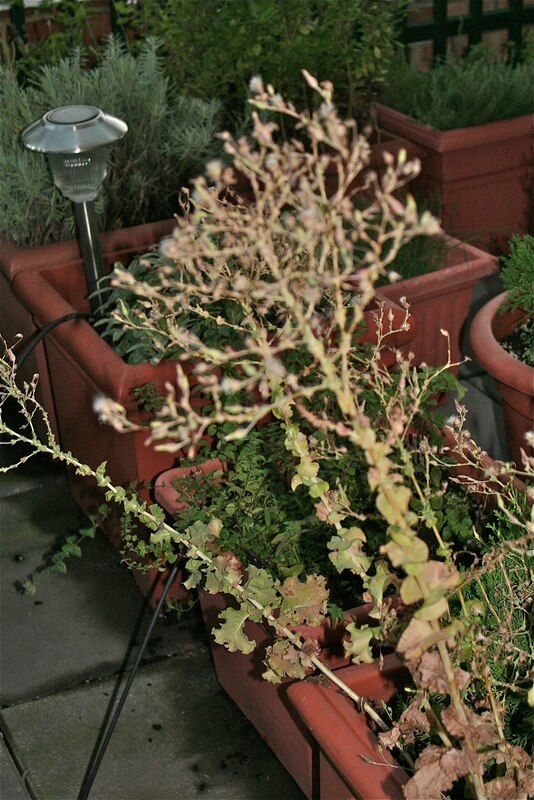 That same spring I planted 'Monet's Garden Mesclun' from seeds I'd also been given to try by Renee's Garden Seeds. I don't use any dressing on my salads so I taste the flavor of the pure ingredients. Both of these mescluns were DELICIOUS and ridiculously easy to grow by just broadcasting seeds in containers and covering with 1/4 in. of soil. By mid-summer, the lettuces had gone to seed, as they do in full sun and high heat. This season I'll be trying Renee's Wasabi Arugula for it's spicy leaves and edible white blossoms. Visit: Reneesgarden.com for their selection of 20 lettuce varieties with planting instructions for each. Not ugly! I kind of like the look of bolted lettuce if you just take some of the dusty leaves away as it withers. Yay for your seedlings and letting them fall where they may. Sans any dressing, ever...a dead give away! These are some helpful tips for plant caring.